In September 2016, Marriott International announced that it had completed the acquisition of Starwood Resorts & Hotels Worldwide, creating the largest hotel company in the world. In its press release, Marriott specifically touted the best-in-class loyalty program that the two brands, combined, could now offer members. What Marriott International executives didn’t realize was that hackers had gained unauthorized access to Starwood’s loyalty program since 2014, exposing guests’ private information including names, phone numbers, email addresses, passport numbers, dates of birth, credit card numbers and more. However, if Marriott had done its homework, it might have avoided the mountain of legal fees and compliance fines it now faces. 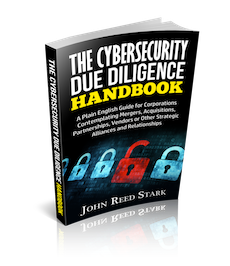 In today’s digital age, cybersecurity due diligence during any M&A process is, without question, imperative. via Marriott: The Case for Cybersecurity Due Diligence During M&A – Security Boulevard.